Bug Juice Smoothie is actually a combination of banana, strawberries and orange juice. This has been known to be a very healthy and delicious beverage. The smoothie contains low levels of carbohydrates, which makes it healthier compared to other smoothies. Although carbohydrates is a good source of energy, the intake should be in moderation as too much of this can also be detrimental. Bug juice smoothie also contains protein. The amount of nutrients that can be absorbed from this smoothie is enough to help in tissue repair, in strengthening the immune system, and in providing energy for the body. 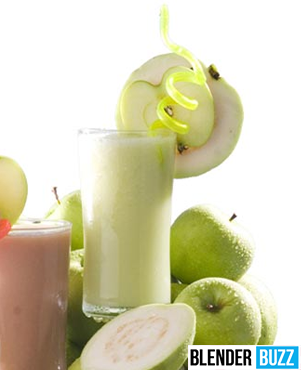 The smoothie also has low levels of fat which is beneficial to those who keep watch of their diet and health. Of course, it is very rich in Vitamin C, which gives you protection against different immune system deficiencies, prenatal health problems, cardiovascular diseases, skin wrinkling and eye diseases. It has sodium and magnesium which are excellent in regulating the functioning of the muscles, heart and nerves. Furthermore, the smoothie has no cholesterol and no saturated fat. Peel the bananas and cut the fruit into chunks to make it easier to blend. Avoid doing this ahead of time as bananas are known to brown easily. No need to slice the strawberries. Frozen strawberries can easily be blended in. Squeeze two to three oranges (if you want it fresh) until you are able to make two cups. This will enhance the flavor of the fruits in the smoothie. Put half of the chunked bananas and the frozen strawberries as well as the orange juice in a clean blender. Add the fat free creamy yogurt. You can choose from two flavors: strawberry and/or banana. Start the blender on high speed for about thirty seconds or until the mixture reaches a very smooth consistency. Pour into the glasses and immediately serve. If you have prepared for a day’s worth, make sure to refrigerate the rest of the smoothie to avoid spoilage. Sprinkle with granola to develop a more tasty and presentable topping. You can also use raspberries and blueberries if you like. They both are equally delicious and rich in antioxidants.